If you are an attorney needing help with a case, The National Legal Research Group can provide you with quality legal research and writing services. We were founded in 1969 with the goal of helping solo practitioners, corporate counsel, and attorneys in firms of all sizes, with trial and appellate briefs, memoranda, motions, pleadings, and multi-state surveys. This can be provided on an "as-needed" basis, at an affordable price. In addition, all legal research is completed by our team of attorneys with an average of 20 years of experience each, and who graduated from top law schools in the U.S. B.A., Hamilton College, 1964. J.D., University of Connecticut Law School, 1968. L.L.M., Tax, George Washington University, 1971. Member, D.C. Bar. 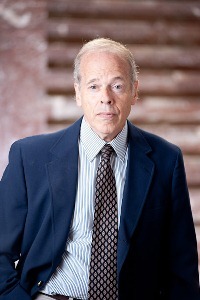 Prior to joining NLRG in 1974, Jim was in private practice in the District of Columbia. He specializes in Tax Law and Estates, Trusts, and Wills. 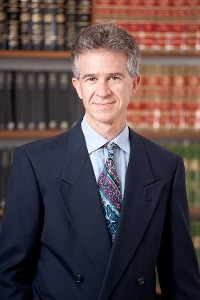 He has worked on numerous cases involving federal estate tax includability issues, contracts to make wills, resulting and constructive trusts, and the cy-près doctrine. Our Connecticut law research attorneys are highly skilled in both legal research and legal writing. 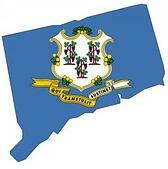 We have completed briefs for federal and state courts, including Connecticut courts. NLRG's attorneys can give you the competitive edge you need to help you win your case. We have provided appellate briefs for Federal Courts of Appeal, Connecticut Courts of Appeal, the Connecticut Supreme Court, and the United States Supreme Court. In addition, we offer appellate brief compliance review and filing through The Lex Group to ensure proper compliance. Since our founding in 1969, we have assisted over 50,000 attorneys with a wide variety of cases. Our attorneys are able to provide you with objective legal memoranda for case evaluation, trial and appellate preparation, strategic planning or any other purpose prior to or in support of litigation or transactional analysis. NLRG can help with Advocacy Memoranda, Adversarial Memoranda, Objective Memoranda, or Memoranda in Support of a Motion. The National Legal Research Group has completed over 170,000 projects over the years, all varying in size and overall costs. We understand that attorneys need to predict costs upfront and stick to reasonable budgets. To offer a better range of services, we provide a cost-effective solution of telephone and email reports. This way we can provide our legal research expertise and analysis to assist you with your case, when a written product is not required. Our legal research attorneys have assisted our attorney-clients with many pleadings in every state and federal court since 1969, including Connecticut. We can prepare motions to compel, motions to dismiss, motions in limine, pleadings for complaints, motions to strike, motions for summary judgment, and more. No matter what the situation, for cases ranging from complex multidistrict litigation to relatively simple state court proceedings, our attorneys have assisted with the following discovery-related services: deposition summaries, motions to compel discovery, requests for production, requests for admissions, interrogatories, and preparation for depositions. Many cases involve a large amount of legal document review that can be very time consuming. Our team of attorneys can help you streamline this process so you can predict costs upfront and meet deadlines. This can save you a significant amount of time you can spend on other tasks pertaining to your case, or simply give you more free time to relax and enjoy yourself. Our attorneys have many years of experience and are specialized by area of law. If you are finding yourself requiring additional assistance with your case, please submit your information using the form on this page so our attorneys can review your case. "Jeremy Taylor did an excellent and timely job and I will recommend him to others." "I've been quite satisfied with your work - I believe I've used your organization three times."